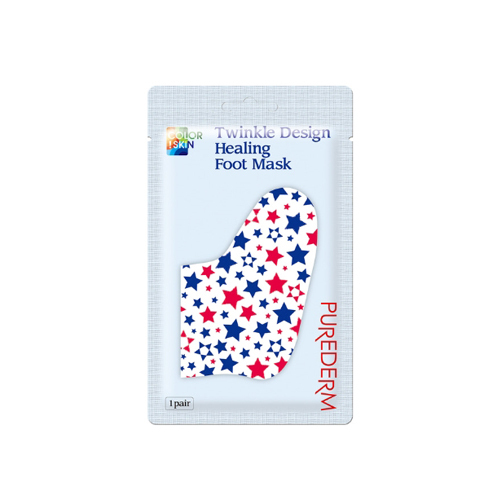 Purederm twinkle design healing foot mask amazingly smoothes, softens and restores dry, cracked, calloused feet and heels. It significantly improves the look and feel of even driest feet. Enriched with tea tree leaf extract, herb complex, peppermint leaf extract and other natural healing ingredients. Open the packet and wear foot masks. After 20-30 minutes, put off foot masks. You don’t need wash the feet again.